Mexico was the first wine producing region in North America (God bless the missionaries and their vineyards!). While being first doesn’t necessarily suggest any claim to quality, it does lend a certain authenticity to the country’s modern winemaking efforts. Like other “New World” regions, there have been plenty of ups and downs for wine production in Mexico. 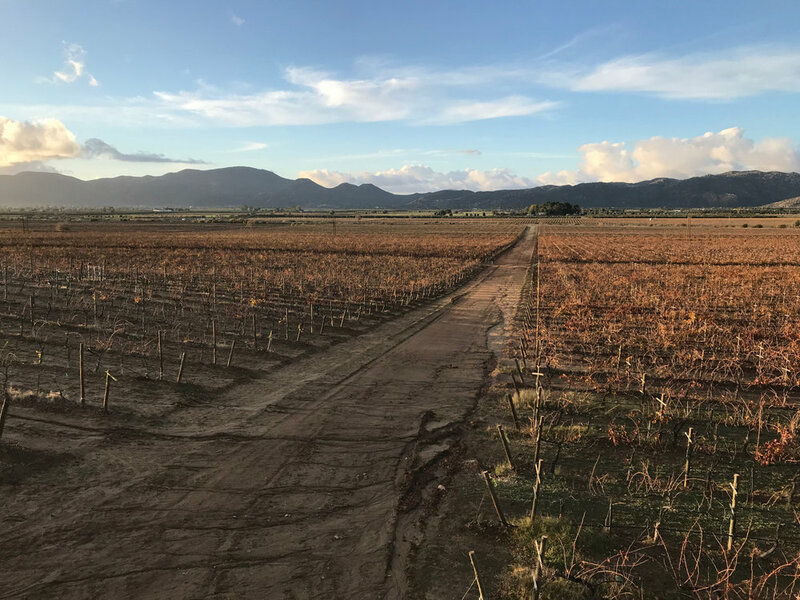 The last few decades have ushered in a notable shift toward modern production methods, however, making Mexico both a very old and very young wine region at the same time. 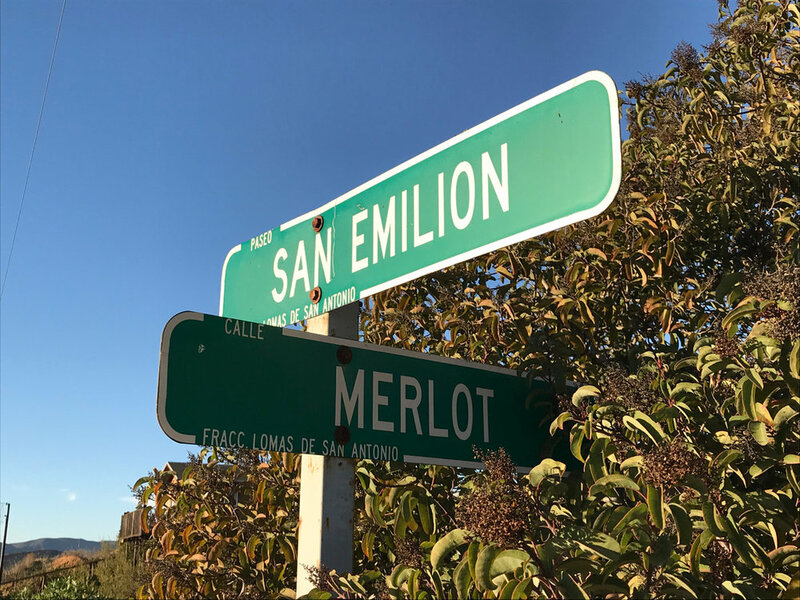 It’s not a long road to delicious Mexican wine. 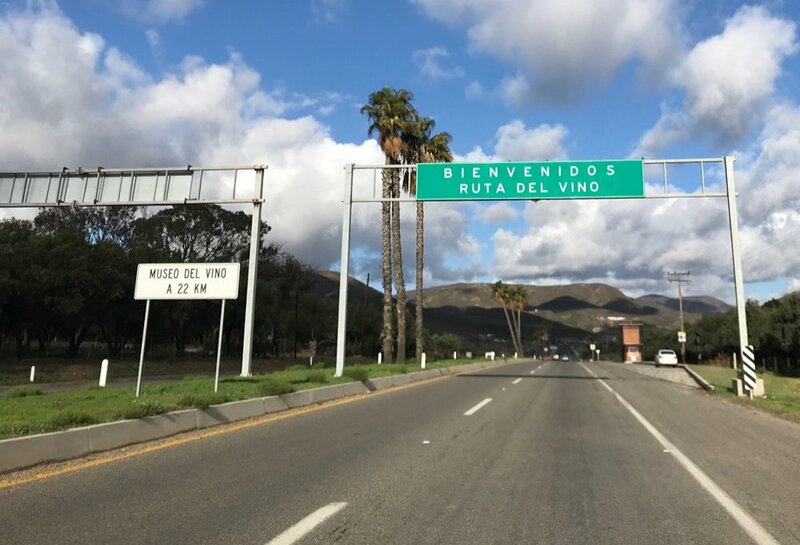 Nearly 90% of Mexico’s wine is produced in Baja California (the long “finger” that extends south from the west coast of the USA)–and most of that in the Valle de Guadalupe. With vineyards at the 32nd parallel north, you’ll be hard pressed to identify a serious wine region around the world sharing a similar coordinate (French presence in Algeria and Tunisia once contributed to a focus on wine in those countries but that ended in the middle of the 20th century). Its proximity to the equator makes Baja a marginal climate for wine grape growing so some might doubt its potential. By way of comparison, the southern hemisphere offers more promise. The 32nd parallel south passes through important wine regions in Chile, Argentina, South Africa, and Australia. These areas would be too hot for quality wine production were it not for the cooling influences of ocean and altitude. As it turns out, vineyards in the Valle de Guadalupe are just a short drive from the Pacific Ocean. The elevation is not especially remarkable (the valley floor is 1,500 ft above sea level), but it’s enough to contribute a cooling effect during hot months. Together, ocean breezes and altitude make quality viticulture possible. Just another gorgeous day in Baja wine country..
Wild winter vines await pruning. Common in the hot vineyards of Spain, gobelet pruning is labor-intensive to maintain but keeps grapes covered by leaves and close to the ground for a cooling effect. There is a tremendous amount of vineyard expansion in process in Valle de Guadalupe (the white dots are protective cardboard sleeves around each young vine). The climate in the Valle de Guadalupe is classified as Mediterranean (the abundance of olive groves supports the conclusion) so summers can be quite hot and rainfall is limited. Newer vineyards often incorporate drip irrigation infrastructure and take advantage of planting and trellising methods that allow for the shading and cooling of grapes during the growing season. More traditional plantings of “head trained” (AKA gobelet) vines are also common. Used extensively in hot climates like Spain, these vines are pruned close to the ground where the air is cooler and are trained in such a way that leaves shade grapes from the intense sun. These vineyards are inexpensive to plant (there’s no trellising to install) but labor-intensive to maintain. Given the hot and dry conditions, there are limits to which varieties of wine grapes are fit for the region. Large plantings of Tempranillo and Grenache are complemented by other warm climate red grapes such as Cinsault, Mourverdre, Sangiovese, and Aglianico (all of which are well-represented in the warmest regions of Spain, France, and Italy). Popular international varieties Cabernet Sauvignon, Merlot, and Syrah are also planted extensively. There are surprises here and there as well. Nebbiolo and Barbera (grapes typically considered best grown in cooler climates) are planted to an unexpected degree in the region. While a few white varieties like Chenin Blanc and Chardonnay are found here and there, this is not a white wine drinker’s paradise (though pink wines are abundant). In spite of the challenges of the climate (maintaining the lean, acidic profile of many white wines is not easy in hot conditions), growers and winemakers will hopefully embrace any and all opportunities to increase white wine production in the future to round out what the area has to offer. Finally, while there is no apparent signature grape (or grapes) in the region, the degree of experimentation with such a broad array of varieties is commendable. Baja is certainly not the world’s only wine region still sorting out its strengths and weaknesses. A trio of delightful wines. 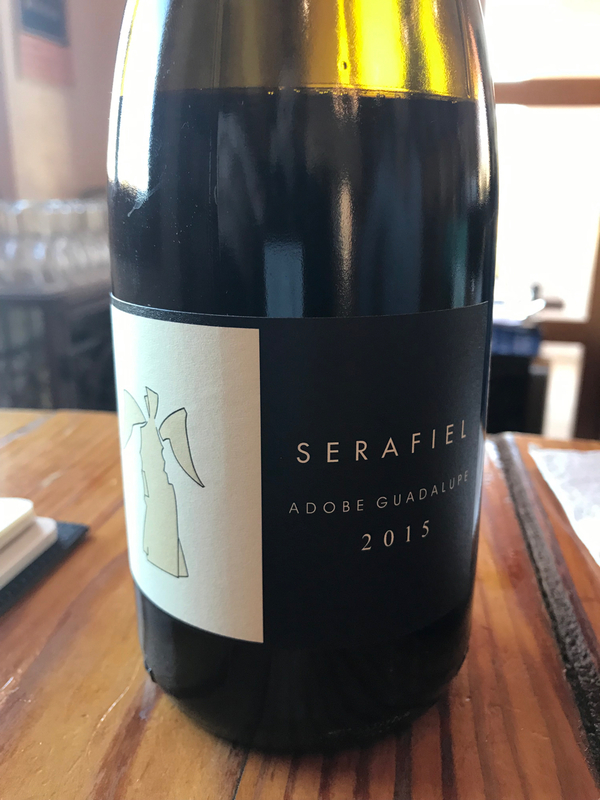 A Cab Sauv, Syrah blend from Adobe Guadalupe. Red fruit, nice acid, extremely smooth tannins. 100% Sangiovese with notes of earth, licorice, and cherry. A unique, non-vintage GSM (Grenache, Syrah, Merlot, in this case) from Santo Tomás. There’s plenty of pink (but not much white) in Valle de Guadalupe. There are 130 commercial wine producers in the Valle de Guadalupe, so it can feel overwhelming to choose where to visit. Melchum, Adobe Guadalupe, Decantos, and Villa Montefiori are certainly worthy of consideration. If you’re in an adventurous mood, a drive south to Baja’s oldest winery Bodegas Santo Tomás is its own reward. Established in 1888, it was also the first winery in Mexico to have a woman as the head winemaker. In these and many other locations, both the wine and setting are quite lovely. Plus, tasting fees are routinely in the $5 to $15 range. Which is difficult to find in any American wine region. The Melchum tasting room at Hacienda Guadalupe. The Adobe de Guadalupe setting is linger worthy. Two glasses of tasty wine (and this view!) will set you back about $10 US at Decantos. Mexico is a highly photogenic country. the tasting room at Santo Tomás is no exception. The vineyards at Bodegas de Santo Tomás. Along with the burgeoning wine industry, an impressive array of excellent dining options dot the valley. From pizza to seafood to authentic Mexican classics, there is hardly a disappointing meal to be found. With a clear understanding that fresh and local ingredients make the best offerings, the standout restaurants in the valley leave a lasting impression. Corona del Valle, Deckman’s, Hacienda Guadalupe, and the food truck at Adobe Guadalupe are all excellent options. Like the wine, the food is attractively priced for tourists. Similar quality meals are only about half the cost of what would be expected in a major west coast city like Los Angeles or San Francisco. The food truck at Adobe de Guadalupe does not disappoint. Fine Dining at Corona del Valle. A memorable meal at Deckman’s. 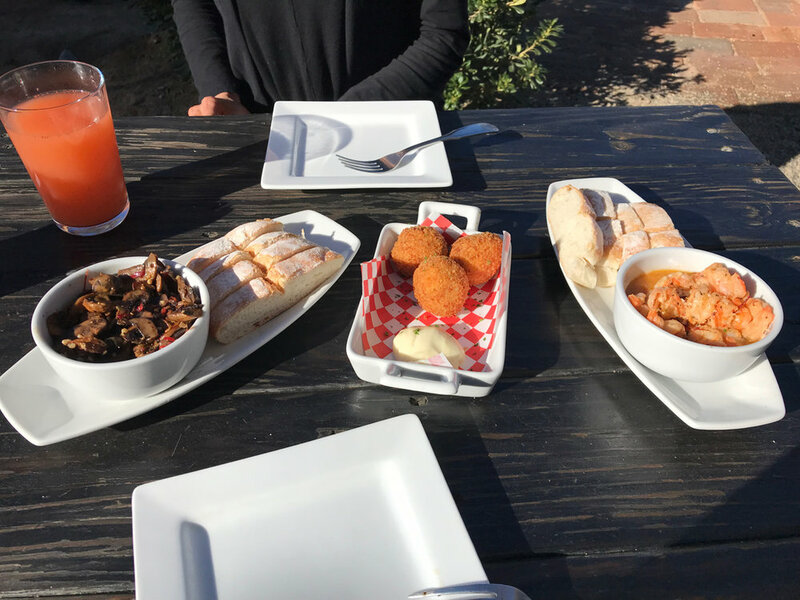 Al fresco dining is common in Valle de Guadalupe. No matter the meal, it tastes even better vineyard side. breakfast at Hacienda Guadalupe. 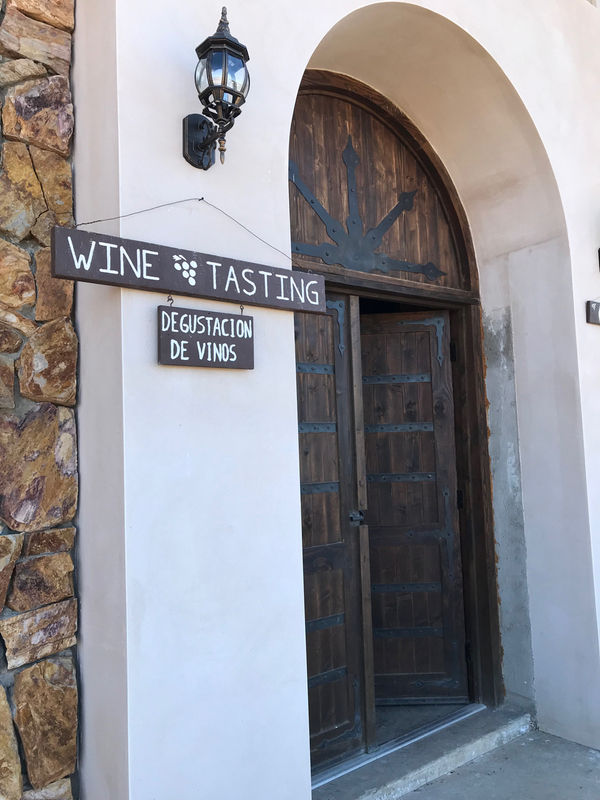 While Valle de Guadalupe offers excellent wine and food at a great value, there are plenty of challenges ahead for Mexican wine. There is a steep tax on wine production (44%!) which creates a context in which Mexican wine enthusiasts are incentivized to purchase imported wine for much less than wine from Mexico. Unfortunately, the government is unlikely to lift this burden as most Mexican wine is made and sold close to the border with the US (meaning many buyers can afford it). This presents a real obstacle for developing a regional wine culture (especially in a country where beer is already so dominant). Let’s hope a powerful senator or other government official takes a personal interest in promoting Mexican wine domestically some time soon so we can all benefit from more of it! This very lovely vista behind Museo del Vino awaits you in Valle de Guadalupe. The region is embracing its wine identity. A: You may read or hear about violence in Mexico, but I doubt you’ll ever encounter any. Mexicans are generally lovely people and hospitality is a strong cultural value. Having said that, any place can be dangerous so do exercise common sense and always be aware of your surroundings like anywhere else. A: It wouldn’t hurt but it’s not necessary. Many tasting room employees are young people from the nearby city of Ensenada and English is commonly spoken by this demographic. Q: Don’t Mexicans dislike us now? A: If you’re from the USA, this is a natural question. In spite of current political rhetoric, however, Mexicans don’t seem to hold any of the negativity against visitors. Again, it’s an extremely hospitable country. A: If you’re coming from the US or Canada (or maybe anywhere outside of Mexico), you should consider flying into San Diego and renting a car from there. Drive inland to cross at the sleepy border checkpoint at Tecate for a scenic drive and easy process. The total drive from the airport to Valle de Guadalupe is about 2.5 hours. A rugged vehicle is recommended since all roads but main highways can be a bit rough. Q: What’s it going to cost? A: Lodging is about 75% the cost of what might be expected in west coast areas of the US. There are several levels of accommodations available, however, and luxury options will not be much of a bargain. As mentioned previously, food is often quite a value (with no sacrifice in quality). Have your own Mexican wine experience? We’d love to hear about it (surprising or not). Please email us.